The 24 year-old Swedish rave sensation will be playing major venues across North America, including stops in New York City, Phoenix, Chicago, Toronto and Washington D.C. Tickets will be availble through the Live Nation official site and mobile app starting on Friday, January 31st. The tour promises to "showcase an all new, world class production." 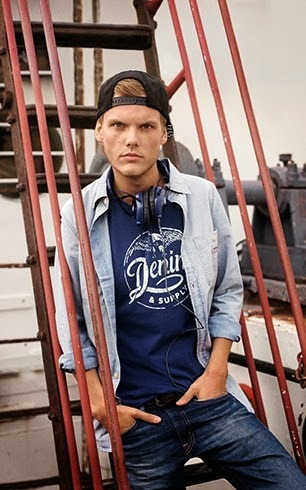 Last year, Avicii hit the big time when he released his debut album True, which yielded the massive single "Wake Me Up" – a song that blends glossy EDM beats with a country-folk hook. In addition to the #TRUETOUR dates, he'll also hit the festival circuit this year, including a headlining spot at the Ultra Music Festival Phase 1, which is scheduled for the weekend of March 28th at Bayfront Park in Miami. The #TRUETOUR North American dates are below. Additional cities are expected to be announced later this year.